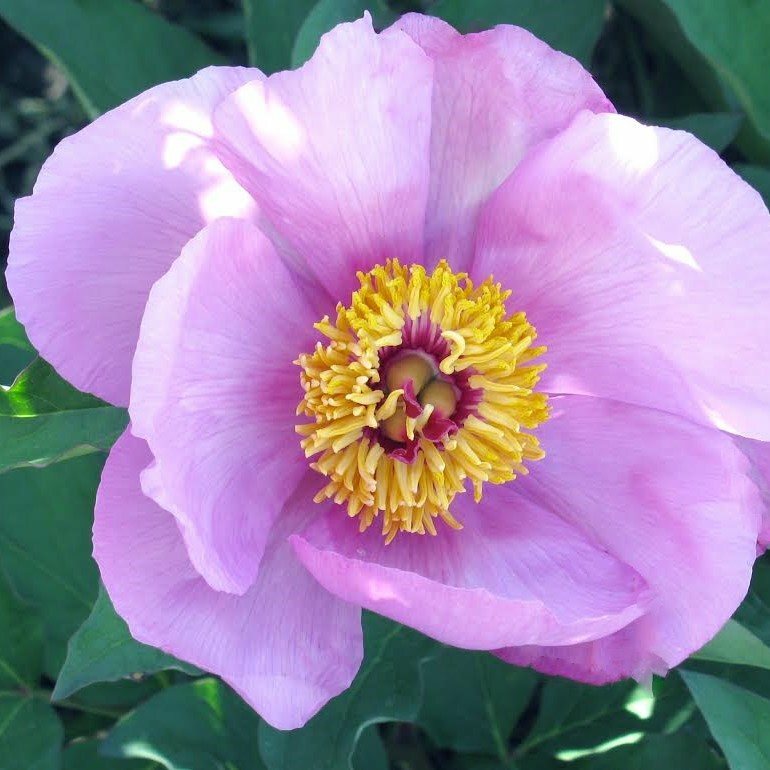 Single; large flower with a double layer of large soft lavender petals. Color fades to pale lavender shades as flower matures. Golden yellow center boss accentuated by burgundy colored carpels in the middle. Early flowering, blooms provide an exceptional color combination in the garden. A quite satisfying plant habit, productive, bush of medium height. Sturdy stems support flower heads above canopy, no support required. Attractive gray green foliage. Plant appears to perform better in northern climates and may prove to be a challenging cultivar for growers in the South. Herbaceous Hybrid. Parentage: P.�lactiflora�x P.�coriacea. Presumed triploid, pollinate with tetraploid.